House farm bill – including extensive changes to food stamps program – fails on 198-213 vote after House Freedom Caucus withholds support. House leadership must seek new path forward on revised legislation; Senate leaders pursuing bipartisan bill to be released later this year. Following a week of intense negotiations, the U.S. House of Representatives failed to pass H.R. 2, the Agriculture and Nutrition Act of 2018, on May 18 on a 198 to 213 vote. 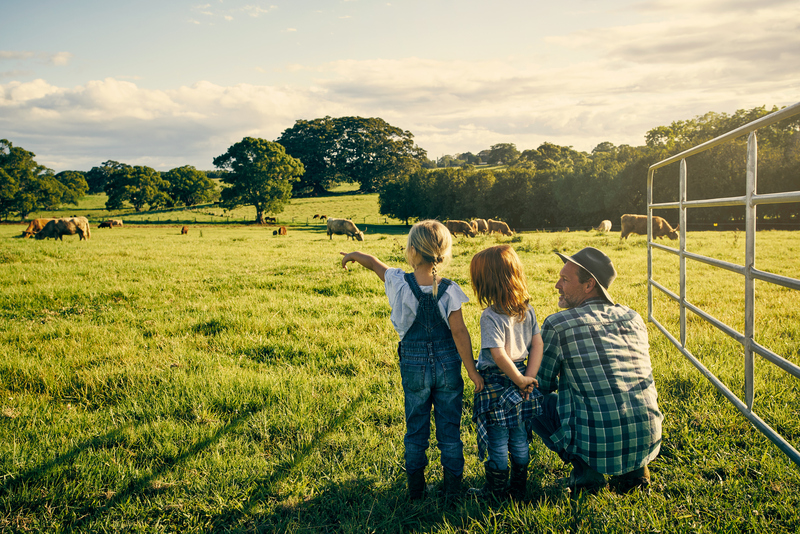 This legislation would reauthorize the various federal farm, conservation, nutrition and rural development programs set to expire in September. Many of these programs help counties make critical investments in infrastructure, nutrition, workforce and economic development in some of our nation’s most underserved communities. Contention over major reforms to the Supplemental Nutritional Assistance Program (SNAP) – commonly referred to as the food stamps program – dominated discussions related to the farm bill since the House Agriculture Committee began its work earlier this year. Democrats unanimously opposed proposed changes to SNAP that would have expanded work requirements and decreased eligibility for benefits, creating a small margin of error for Republican leaders hoping to shepherd the bill through their chamber. Further complicating matters, support for the bill within the Republican caucus fractured due to concerns over subsidy limits for crop insurance premiums. Additionally, the House Freedom Caucus tied its support of the farm bill to a separate immigration-related measure, which the Caucus hoped to see brought to the House floor by Republican leadership. Attempts to find middle-ground on this impasse ultimately failed, as 30 Republicans joined all the chamber’s Democrats in voting against the bill. House Leadership has already re-started negotiations with the Freedom Caucus to find a path forward. Across the Capitol, bipartisan work continues in the U.S. Senate on the upper chamber’s version of a farm bill. If both chambers pass a bill, a conference committee will be convened to resolve differences in the legislation. Both the House and Senate would then vote on the final agreement before sending it to the president’s desk. During the House’s farm bill process, NACo supported four amendments to the legislation that were favorably adopted. As Congress works towards passing a long-term reauthorization of our next farm bill, NACo will continue working with staff and members to ensure key county priorities are protected. Additional details on the House’s farm bill legislation can be found below. The Congressional Budget Office (CBO) projects the new House bill would cost $867 billion over the next ten years – $90 billion less than the enacted 2014 Farm Bill. The Nutrition Title in the House package accounts for over 75 percent of total spending and is projected at $664 billion over the next ten years. The previous farm bill’s nutrition title was projected at $756 billion over ten years. The remaining 25 percent – or $203 billion – would be split among the remaining eleven titles, with over $199 billion going to the Crop Insurance, Commodity and Conservation Titles alone. Currently serving 42 million residents across the country, SNAP is an important public assistance program offering nutrition assistance to millions of eligible, low-income individuals and families. Though counties in every state are concerned with the nutritional wellness of their constituents, 10 states delegate SNAP administration to county agencies: California, Colorado, Minnesota, New Jersey, New York, North Carolina, North Dakota, Ohio, Virginia and Wisconsin. Although SNAP is primarily a partnership between the federal government and states, counties in these states contribute significant local funds to administrative and supplemental costs of running the program. The draft bill proposes a new single work standard for all non-disabled adults ages 18 to 59 (previously 18-49) requiring recipients to obtain a part-time job within just one month (previously 3 months) of receiving SNAP benefits or enroll in a job-training program for at least 20 hours a week beginning in Fiscal Year (FY) 2021. Additionally, the bill provides $1 billion per year (currently at $90 million annually) for the expansion of state education and work programs. Under the new House draft bill, categorical eligibility would only be given to those individuals receiving TANF cash assistance and would also eliminate broad-based categorical eligibility, through which states can provide SNAP to those with incomes above 130 percent of the poverty line but disposable incomes below the poverty line. The House draft bill proposes to eliminate all mandatory funding for programs under USDA Rural Development. The previous farm bill, the “Agricultural Act of 2014,” included $150 million in mandatory funding for programs including water and wastewater infrastructure loans and grants. Under the House bill, Rural Development programs will rely entirely on discretionary spending which is determined annually by appropriators. Counties rely on USDA Rural Development programs to help make critical investments in infrastructure, workforce training and economic development. The House draft bill also includes an amendment from Rep. Steve King (R-Iowa), called the Protect Interstate Commerce Act, that would pre-empt local authority by preventing state and local governments from enforcing their own “standard” or “condition” on the “production or manufacture of any agricultural good” if such production occurs in another state or locality and has a less stringent standard or condition on the same agricultural good. The House draft bill includes a new section that would allow the Secretary to address emerging rural health crises by providing renewable, one-year, temporary reprioritization for certain rural development loan and grant applications to assist rural communities in responding to a specific rural health emergency. A designation would trigger priority funding for projects under USDA’s Distance Learning and Telemedicine Program, Community Facilities Program and the Rural Health and Safety Education Program. The provision requires the Secretary to issue an announcement that specifies the emergency, and to provide notice to the relevant congressional committees and the Secretary of Health and Human Services. The House draft bill includes a new provision that would exclude incarcerated populations from the determination of whether an area qualifies as “rural” for program eligibility for USDA Rural Development program funding. Counties with regional jails are more likely to prematurely exceed population caps for certain USDA Rural Development program funding. This amendment would help alleviate the problem by excluding those incarcerated individuals from their total population counts on USDA Rural Development funding applications. The House bill does not include a provision to bring stewardship end-results contracted projects on U.S. Forest Service lands in line with traditional timber sales. Under current law, stewardship end-results contract project timber receipts are not shared with county governments.